IZAR held its annual Sales Convention on 4 and 5 February, at the AIC (Automotive Intelligence Center) of Amorebieta, located in the business park of Boroa, where it is located. 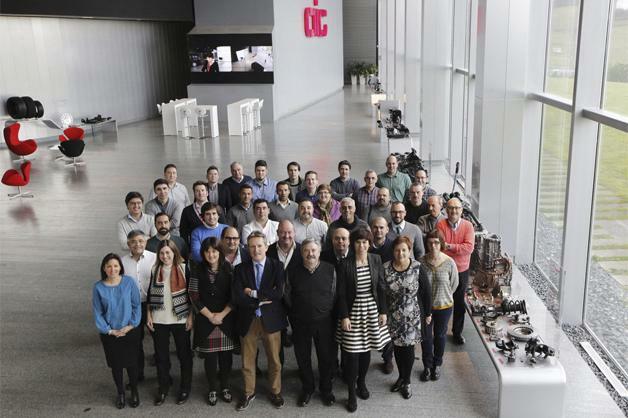 The evolution of the company in 2015 was analyzed at the meeting, a year when IZAR experienced its historical record turnover, exceeding 23 million Euros, for the first time in its one hundred year-old history, with a 2 digit growth. This growth has been sustained both in the domestic market and in the more than 80 international markets where the company is present. The reasons for this growth were analyzed in detail, placing emphasis on where the reasons for “The Force” of IZAR reside: national production, the approach to quality, innovation and service. However, what really makes the company different is its closeness to its customers and the transparency of its business relations. Despite the uncertainties that surround us, IZAR has set out an ambitious plan for growth, based on an important productive investment plan at its Amorebieta Plant of more than 1.5 million Euros, just in 2016, and on the generation of quality employment. In a company where everything revolves around people, the meeting could not end without a deserved homage to Manual Arada, who, for many years, was the Sales Director of the domestic market sales team, following an entire life of loyal work dedicated to the company. Finally, the company also took advantage of the platform offered by the Convention to present the new domestic market sales organization, led by Monica Gonzalez, which will soon be presented to the media , as well as the marketing and sales campaigns for 2016, in which the company has, once again, deposited a lot of hope.